Wysong is putting lots of efforts for over twenty years to develop all its products on a holistic and healthy approach. All its food products for canine, feline, ferrets, equine and human beings as well as dog and cat supplements are scientifically formulated. These products are designed on the basis of common sense and logic to offer scientifically proven results. 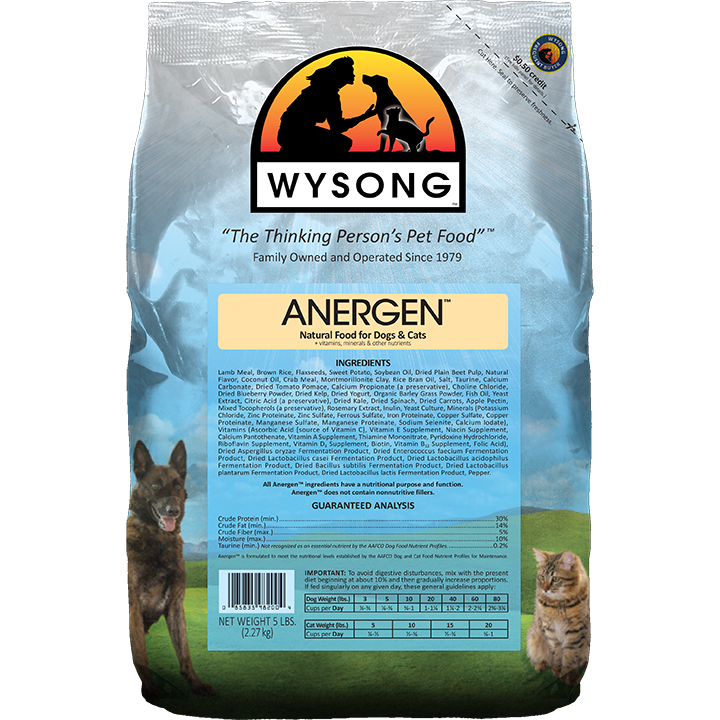 Wysong offers the healthiest and holistic dog diets, supplements, and treats. All its dog supplements are prepared considering one basis i.e. to make dog food genetically appropriate by offering living elements usually found in natural raw foods. Wysong Wild things, as the name suggest this supplement is made to look similar to foods eaten in their natural form. Read further to know about the features, ingredients and feeding instructions of Wild Things. Creation – Wild Things is created to provide nutritious heath benefits to both dogs and cats. Design – This dog supplement is designed to offer dogs with nutritious, whole and non-heated processed fruits and vegetable foods that nearly look alike what they may desire to consume in the wild. Phytochemical nutrients – Phytochemicals nutrients in Wild Things act as antioxidants that help preventing free radical damage which may lead to diseases such as cancer and arthritis. Certain plants may have chemicals, or mixtures of chemicals, which are biologically active in animals. Some of these similar compounds are known to prevent and reverse disease. Antioxidants – Antioxidants content in Wild Things are important because they combat the vitiating effects of free radicals and oxidation. Oxidative stress is connected to a number of types of cancers and modern diseases. Uses – Wild Things can easily administered by sprinkling onto your pet’s food making a perfect healthy meal. Size – This supplement is offered only in convenient 6.5 oz. Bottle form. Wild Things contains all natural and healthful ingredients such as Celery, Spinach, Beets, Parsley, Watercress, Lettuce, Alfalfa, Barley Grass Juice, Wheat Grass Juice, Chlorella, Organic Apples, Plums, Organic Blueberries, Strawberry Juice, Watermelon and Banana Juice. In addition, it also includes the minimum Crude Protein content about 9.0%, minimum Crude Fat is 3.0 % and maximum Crude Fiber is 14.0 % and Moisture maximum content to about 12.0%. It as a supplement for raw or homemade diets, Wild Things may be added over food depending entirely upon your pet’s nutritional requirements. Please follow approximate guideline, the feeding amount should be decreased or increased directly to your recipe at a rate of 1 teaspoon per 3 oz. of food served. Wild Things is a Canine Supplement that is intended for intermittent or Concentrate supplemental feeding only. It is also designed to be rotated with Wysong Whole Food.